Design, style and detail, three words that define the product of Alaplana. A great investment in human equipment and technological equipment make us a company capable of generating trend in the international markets thanks to the attractive finishes and exceptional technical characteristics. 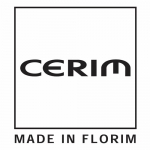 Cerámicas Aparici S.A. produces and commercializes ceramic wall and floor tiles and porcelain tiles to the national and international market. The ceramic company is managed in Alcora ( Castellón de la Plana ) in 1961, the place where the fabrication of tiles is already, a tradition associated with its culture. In its origins it counted with a team of 8 people with which is dedicated to elaborate a ‘ bizcocho' through traditional kilns.In 1966, moment of a big boom in ceramics in all the province, the first expansion is made getting to the 10.000 square meters of installation and a work force of 50 workers. Ceramica del Conca Spa was conceived in 1979 by entrepreneurs with experience in the field of construction, both in Italy and abroad, new to the world of tiles, but sensitive to the technological evolution and growing expectations of the market. 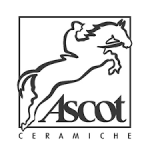 It was the first company in the industry to believe in singlefired white body glazed stoneware tiles, just as it was the first to employ porcelain stoneware technology, becoming a reference point as a company for the industry and putting into practice valid systems choices with determination in times of general uncertainty in the technical field. Today, the company is known internationally for the quality of its products, the excellence of its service, its ability for innovation and the design it offers. After the important investments of recent years, which have brought about considerable growth in the production capacity of its site, prospects for growth over the coming years are based on synergies with industry companies, also belonging to the Group, which can place their production capacity at the service of the dynamic commercial penetration of Ceramica del Conca S.p.a.
Ecoceramic is a young Company, it was born in 2009. Ecoceramic has expanded greatly in a few years in the national and international market. Nowadays, Ecoceramic trades in more than 100 countries, adapting its products to the aesthetic needs of each country. Ecoceramic is a company committed to environmental progress and sustainability. Edilcuoghi is a ceramic brand, made in Italy, specialised in the interior design sector and offers surfaces for the home, bath, boutique and hotel. It includes a broad range of floors and coverings, available in various formats, colours and surfaces, which combine contemporary design with modern technology. The Edilcuoghi Colorboard project is comprised of a selection of ceramic surfaces, offering an elegant design, in shades that match each other perfectly. Founded on September 27, 1999, EQUIPE CERAMICAS, SL emerged to meet the demands of a growing niche market betting on the decorative borders . In just five years after its inception, EQUIPE had become the undisputed leader in the national and international market borders and began to grow in revenue and increase their customer base. 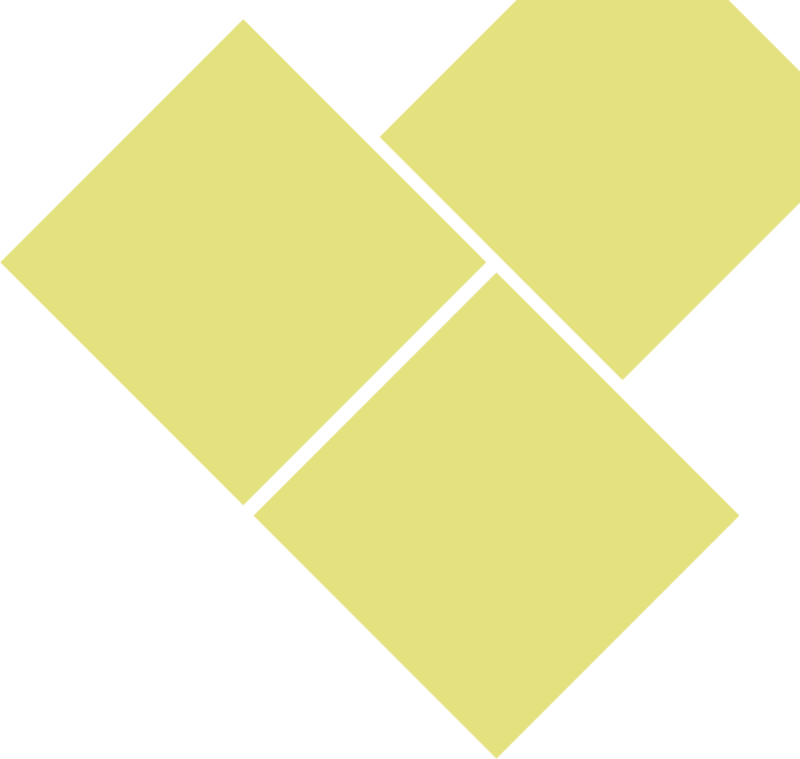 In 2005 the company began to focus its efforts on small format wall-tiling and began a process of change in terms of product and business strategy. EQUIPE currently has over 100 employees and its main markets are in Europe and Latin America, becoming key countries country Spain, Italy, France, UK and Germany . EQUIPE ‘s vision is to be the leading company in the sector of small format, providing added value with a high design load, a real commitment to his client and transparency, proximity and flexibility that make EQUIPE to be a company tailored to their times and constantly evolving. An essential and sophisticated design combined with a technological and functional soul promotes ease of use and versatility, to create porcelain stoneware floor tiles for indoors and outdoors capable of transforming any surface into a real décor item for different tastes and styles. FLAVIKER, born in the early 60s, anticipated market trends by pioneering porcelain stoneware in the Emilia ceramic tile district of northern Italy. Today innovation - together with design and a marked awareness of eco-sustainable practices - are the qualities that distinguish FLAVIKER as a benchmark for porcelain stoneware Made in Italy. Geared to meet the exacting needs of architects and designers, we consciously explore the universe of contemporary surfaces, combining aesthetic excellence and technological innovation, providing a high performance product which is also modern and avant-garde. Each collection becomes a versatile tool in the hands of the designer, always imprinting a distinctive feature, whether for indoor residential settings or outdoor public and commercial areas. ITALGRANITI GROUP is a dynamic and innovative company that has undergone significant expansion in recent years thanks to a far-sighted business strategy and considerable investments in avant-gardeproduction technologies. The result is a complete range of high quality products, not only able to meet the demands of market trends but often able to anticipate them. We design and develope our products from the drawing board to production, thereby guaranteeing unique textures and patterns for each piece. KITO-beyond your imagination! Welcome to the leading porcelain tiles and rustic tiles manufacturer in China. The last decade has witnessed our great concentration on the creation of best porcelain tiles as well as the big success we have made on it. KITO is not only an innovator but also a thinker. The ceramic tiles we have made are honored as the tiles beyond your imagination. Kronos is a company whose roots lie in a region where the value of the ceramic tradition has become part of the culture of a population who, from one generation to another, has managed to bring the ceramic industry and its products to represent Italian products all over the world. We at Kronos have created excellent products in this sector for over 30 years. Our design research and DNA oriented towards constant product innovation have made us leaders in the production of porcelain stoneware floors and coverings for indoor and outdoor use. La Fabbrica SPA is a firm specializing in the production and sales of high-quality ceramic tiles for floor and walls. We have transformed our search for quality into our corporate philosophy, making it a value that has always accompanied us in designing our products from the conception to the production to the sales, from the research laboratory to the production facility and to the widespread distribution of our sales network here in Italy and abroad. Our ongoing drive for improvement has allowed us to create cutting-edge collections with regards to design and technology, capable of satisfying the technical requirements of architects and interior designers as well as the tastes of the end consumers. Long-range perspective and dedication are part of the La Fabbrica corporate mission day by day growth while establishing its renown on both Italian and international markets. Lea Ceramiche, an iconic brand in the ceramic sector for creative vision and dialogue with the world of design, has presented an ambitious set of new collections that synthesize the company’s ability to interpret the latest trends in surfaces. Our company’s complete devotion to service has driven us in our continual development of new product ranges fitting the specific décor requirements of each market. It is for this reason that APE CERÁMICA has become one of the world’s leading firms, having the largest number of items in its catalogue, with around 5,000 products created especially to match the peculiarities and aesthetic and functional needs of each particular market. Zellige, Zellij or Zillij is a handmade natural clay tile with origins in the ancient Mediterranean and Middle East. Mosaic del Sur ® Zellige tiles are handcrafted from unrefined white clay and glazed with traditional colored glass in a modern, sustainable and socially responsible factory in Tangier. Ariostea technologies are unique: they are devised, designed and implemented directly in-house at the company’s own sites (which cover the know-how, mechanics and software), and are protected by international patents. Ariostea high-tech porcelain tiles are made using only the choicest of mineral natural raw materials which are subjected to a process similar to that undergone by rocks on our planet over millennia. Put to high pressure and intense heat (up to 1300°) these raw materials, carefully researched worldwide, form a material of extreme compactness, homogeneousness and nonabsorbency. Passion for what we do. That’s what has made us what we are today: the leading provider of mosaics and decorations throughout Europe. Special, high quality materials and attractive designs are our specialty and our aspiration - always coupled with exceptional service and professionalism in all areas. Marco Polo Group located in Dongguan City, a famous city of the international manufacturing industry and established in 1988, is one of the domestic architectural ceramics manufacturers and distributors with the largest scale. The group is favored with the famous brands, such as “Marco Polo”, “L&D” and “Wonderful” and others, coverings a wide range such as matt porcelain tile, lappato porcelain tiles, polished porcelain tile, interior wall tile, artificial grain decorative tile, etc., has become a architectural ceramics enterprise with the largest categories and the fullest specifications. Bisazza is one of the top luxury brands in the design sector and the industry's leading producer of glass mosaic for interior and exterior decoration. Established in 1956 in Alte Vicenza, Northern Italy, the company has become trailblazer, marked by a dynamic entrepreneurial spirit, a mastery of modern technologies with an ability to read and anticipate the needs of the global market. Based in Oliveira do Bairro, an area rich in reserves of high-quality clay, Recer embarked on a new phase in its history after 1985. Since then, Recer has developed a dynamic and innovative management philosophy which from the first helped the company achieve a distinguished position in the world of Portuguese ceramics. Recer strives to fit its products to the profile of consumers, in particular in the field of product personalization, and above all to invest in creating different and better products: pieces which create atmospheres that champion aesthetics and a sense of wellbeing. Since 1971, Castelvetro has been producing ceramic tiles where the focus has always been on aesthetics and design; in addition, ongoing research into improving the quality of our products has always been our target. Our company’s strength is based on our use of avant-garde technology and aiming at satisfying our customers’ needs. This is ceramic tiles Castelvetro . Research into colour, carried forth consistently and professionally for more than 40 years, takes shape in a new range of wall and floor products that form a systematic project made of new colours, surfaces and sizes all modular with each other. Our products offers a compact, hardwearing surface with the brightest and fullest colours. The selected raw materials ensure a total absence of impurities and a better distribution of colour. A unique phenomenon in the profession, the Emaux de Briare design, manufacture their own raw materials, and ensure production and quality control up to the final stage of glueing. Thanks to this total expertise of the production process added to a permanent research for a constant quality, the Emaux de Briare are "a material apart" endowed with physical and chemical properties without compare. The company is having CE mark certification and ISO: 9001-2008 International Standard Certification. 'Creating work with heart is enough to describe our all ceramics products. Now we launched valuable product "Ariston Quartz". To fulfill many of our dreams we need to have expert hands to shape our dreams, your most valuable support will be added inspiration to our entire team. From the day it opened its doors, the company has been building its identity, basing its business on the belief that top-level technical and aesthetic features mean a research and production approach that respects the environment and local natural heritage. At Living we are guided by the desire of creating versatile ceramic solutions for interior design and architecture. Claddings - on floors, walls, countertops, steps… – are the skin of our homes, and we believe that it is necessary to take care and pay attention to them. We feel a true passion for good design, which is why we manufacture all our products in Italy and Spain, referential countries in ceramic design. Cifre Group is rooted in solid development spanning over 35 years in the ceramics sector, a business based on continual innovation, putting customer requirements to the forefront. This innovative vision translates into an extensive, market-centric range aimed at being a useful resource for architects, interior designers, builders and, indeed, anyone who would like to remodel their home or business. Our companies, Zenon Smart Solid Surface and Cifre Cerámica are state-of-the-art, superior design resources available to all our customers. Our ceramics are produced in 2 cutting-edge factories located in the heart of the Italian ceramic district, and aim simply to improve on the natural materials they are inspired by: surfaces with a stronger stone effect and a more compact wood effect. The steps in this adventure are quality, coherence, consistency, alongside experience, technological research and focus on the customer: the result is attentive growth that respects the environment we live in. Cotto D'Este was established in 1993 in Sassuolo by Paolo Mussini, founder and currently Managing Director of the company, for the purpose of creating a new trademark in a new and unexplored segment of the ceramics sector extremely high quality porcelain stoneware floor and wall tiles for the top level and luxury areas of the market. Casalgrande Padana currently employs 580 people, with the addition of the 500 of the controlled Nuova Riwal, in its six high-tech facilities in the heart of the world leading ceramics district, covering a total area of almost 700.000 square metres. Four decades of constant growth in sales and production are the tangible proof of Casalgrande Padana skill at responding to market changes and trends with exceptional innovation and quality in universal tiles, for floor and wall coverings, heavy-traffic environments, residential areas, service and industrial buildings. Kerlite is het resultaat van een zeer innovatief productiesysteem, het is ontstaan door de toepassing van een vooruitstrevende technologie die uitstekende prestaties levert. Kerlite wordt geproduceerd in platen van 300x100 cm zonder het gebruik van matrijzen en wordt op een mat gedrukt met een kracht van 15.000 ton. 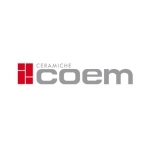 Ceramiche Keope, a young and dynamic firm of the Concorde Group, with a production capacity of over 5 million square meters of fine porcelain stoneware tile, is today one of the reference companies in this important sector. The initial and forward-looking choice to equip the company with an innovative system for the production of full-body porcelain stoneware and the continuous investments made in the best technology, have certainly been one of the main factors for the success of this young and dynamic ceramic company. The Group is currently an established part of the worldwide ceramic wall/floor tile manufacturing and marketing sector. It covers both the industrial segment, with the Serenissima, Cir, Capri, Cercom and Exe brands, and the more design-oriented segment with its luxury brand Cerasarda, which specialises in ceramics, tableware, interior design accessories and home ware. The company’s Momodesign Ceramics brand, meanwhile, is synonymous with high-quality style and innovative technological research. Cerdisa was one of the very first companies to produce fine porcelain stoneware and win recognition in the major projects sector. Today, the Cerdisa brand appears on a range of ceramic floor and wall coverings with high appearance and technology values, positioned at the high end of the market in terms of research, creativity and quality. Traditionally known for its double-fired wall tiles, over the years the company has added a range of porcelain stoneware floor and wall tiles. Dado Ceramica today manufactures a kaleidoscope of ceramic surfaces, in which colour engages with material, texture with decorations and sizes with graphics for a quality, stylish way to bring a personal touch to any setting. The company’s Italian style and craftsmanship has gained a foothold on all the main international markets, and has been a stable, distinctive presence on the Italian market since its foundation. Dado Ceramica leads the EcoDADO+Group, in which it cooperates along with Antica Ceramica Rubiera and Cotto Petrus/Trial Ceramica. The IMPRONTA CERAMICHE group was established in 1998 by merging the two ceramic manufacturers Impronta and Italgraniti, respectively present on the market since 1975 and 1994, both companies already had a strongly consolidated image in the sector. Levantina is a leading Spanish multinational company in the Natural Stone industry. It was founded in 1959, and in recent years the company has grown continuously and undergone significant international expansion, making it the leading company in the sector. Levantina is presently one of the most innovative companies in the stone industry as it employs sophisticated production process which result in technologically advanced products. Viva is an Italian company founded in 1985 with the aim of offering ceramic products featuring an original look and of anticipating trends in a constantly changing world. Aware that it could achieve a greater capacity to compete on the market only as part of a large group, in 2007 Viva joined the Emilceramica Group. Eiffelgres wordt in 2001 opgericht als onderdeel van de GranitiFiandre Spa groep en is gespecialiseerd in de productie en verkoop van full body porcellanato tegels. Al vanaf het prille begin heeft zij een belangrijke plaats weten te veroveren op het internationale toneel van architectonisch ontwerpen en de markt van bouwproducten van hoge kwaliteit. A generation of high range products with unbeatable prices is born with Blustyle. An outstandingly beautiful collection satisfying the wishes of those loving their home. Highly resistant glazed and unglazed porcelain stoneware floor tiles. A production that cares for environment and uses carefully selected raw materials. A range of products very accurate in every detail, with the addition of all value and expertise by Panariagroup.